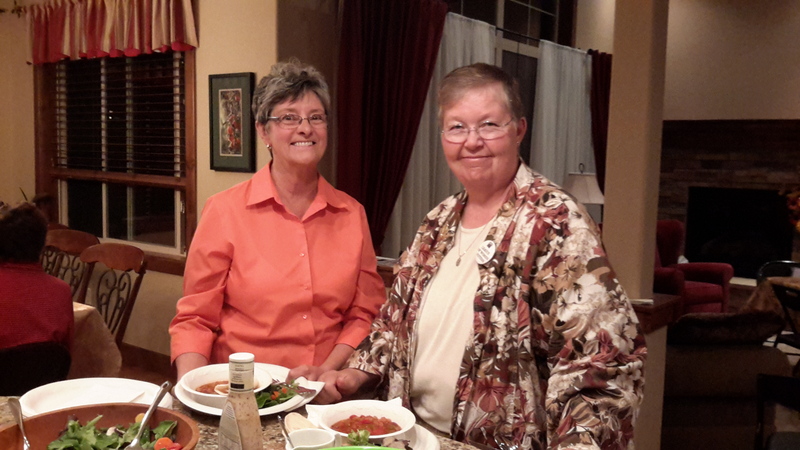 Rosemary Bergstrom, representative from the League of Women Voters of Colorado, attended our October 22 dinner meeting. Quota members appreciated the opportunity to become better informed on the current amendments and propositions listed on the 2014 Ballot. Rosemary presented each member with a pamphlet, prepared as a public service to promote civic responsibility by providing nonpartisan information about the issues that citizens will be asked to vote on in the November 4, 2014 election. and Rosemary, enjoy a wonderful dinner prepared by several QIFC members.